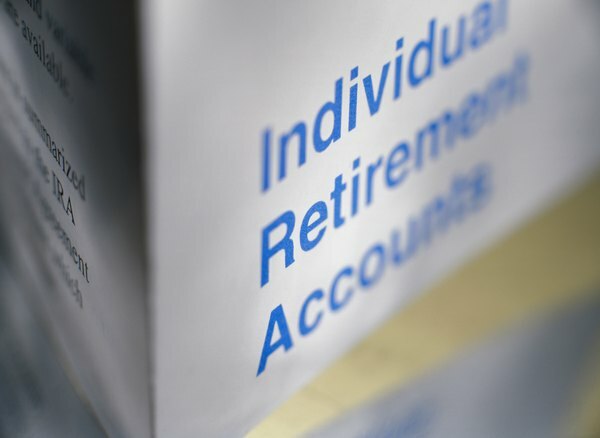 You should understand the rules before converting to a Roth IRA. 3. Do You Have to Pay Capital Gains on Roth IRA Earnings? Traditional IRA contributions are tax deductible, and earnings grow tax deferred, providing a way to accumulate retirement savings. However, when you begin withdrawing money, you will pay income tax on the amounts withdrawn. You will also have to take a certain amount out every year, regardless of whether you need the money. If you would prefer to keep the money in the account and avoid future taxes, you may want to consider conversion to a Roth IRA. You must begin taking required minimum distributions (RMDs) from a traditional IRA at age 70 1/2. The amount of the distribution depends on your age and the amount in the account. With the exception of the first RMD, which must be taken by April 1 of the year after you turn 70 1/2, all RMDs must be taken by December 31 of the year they are due. You will be charged a 50 percent penalty on any RMD or portion thereof not taken by the due date. Not everyone needs the supplemental income that an RMD provides. If this is the case, RMDs will increase your tax bill each year while forcing you to take out money that had been growing tax deferred in your IRA. Additionally, because RMDs are based on your life expectancy, the required amounts generally increase over time to the point that you may end up in a higher tax bracket. The death of a spouse and resulting change in filing status may also put the survivor in a higher bracket. You cannot roll over funds from a traditional IRA to a Roth IRA without first taking an RMD, if one is due. RMDs are not eligible to be rolled over to another retirement account, but they can be used for any other purpose. So after you withdraw the annual RMD and pay taxes on it, you can roll over any or all of the remaining funds in the IRA to a Roth IRA. The amount of the conversion will be subject to income tax in the year that the rollover is made. You may want to consider using funds from the RMD to help pay taxes on the conversion. Because taxes have already been paid on conversions to a Roth IRA, earnings in the account grow tax-deferred and money can be withdrawn at any time tax-free. However, if you are under age 59 1/2, or the rolled over money has been in the account less than five years, you will pay a 10 percent early distribution penalty. You aren’t required to take RMDs, or any distributions at all, from a Roth IRA. If you don’t need the money, you can leave it in the Roth to continue to grow and even pass it on to your heirs after your death. Your heirs will, however, have to pay income taxes on the growth of the fund once they withdraw money from it.